In efforts to support industrialisation, the Tanzania Geothermal Development Company Limited (TGDC) plans to embark on geothermal energy drilling to generate 200 MW by 2025. The project is expected to take off in Mbeya Region next year. TGDC General Manager Kato Kabaka said during the signing of a contract with Italy-based ELC Electroconsult SPA yesterday that drilling activities would take place near Ngozi River and that drilling machines were expected to be imported by the end of this year. According to Mr Kabaka, TGDC targets to start by generating 5 MW by 2020 and 20 MW by 2022. 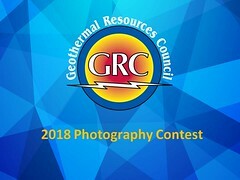 Initial studies show availability of geothermal resource, enough to generate 100 MW, but the actual amount will be determined after drilling activities have taken place.